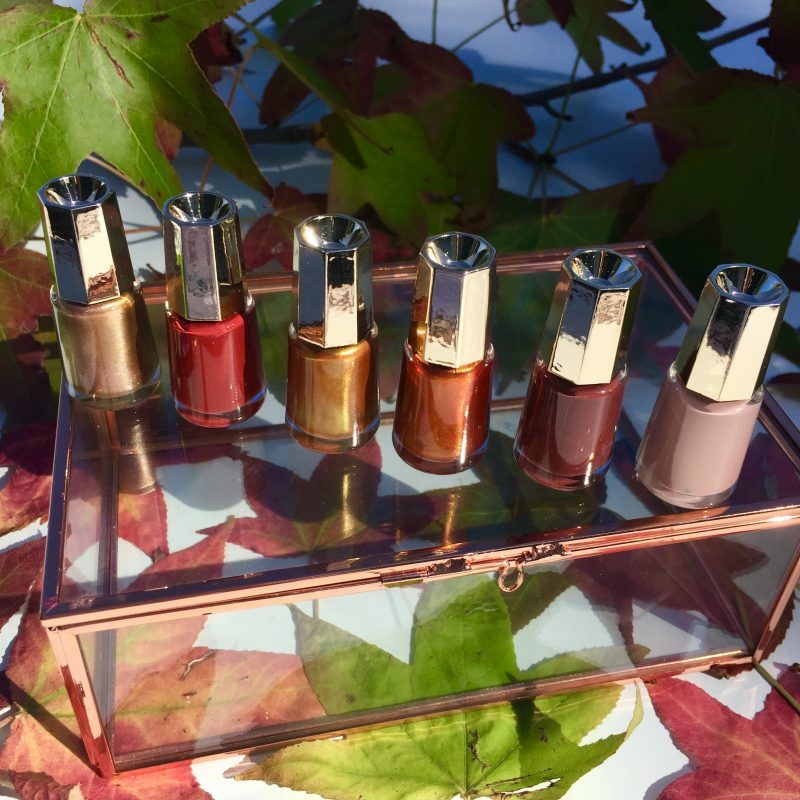 With Autumn now here it’s time to swap out my Summer lipsticks for these stunning satiny, shiny and glossy, glamorous finish Autumn and Winter shades of lipstick from Mavala. 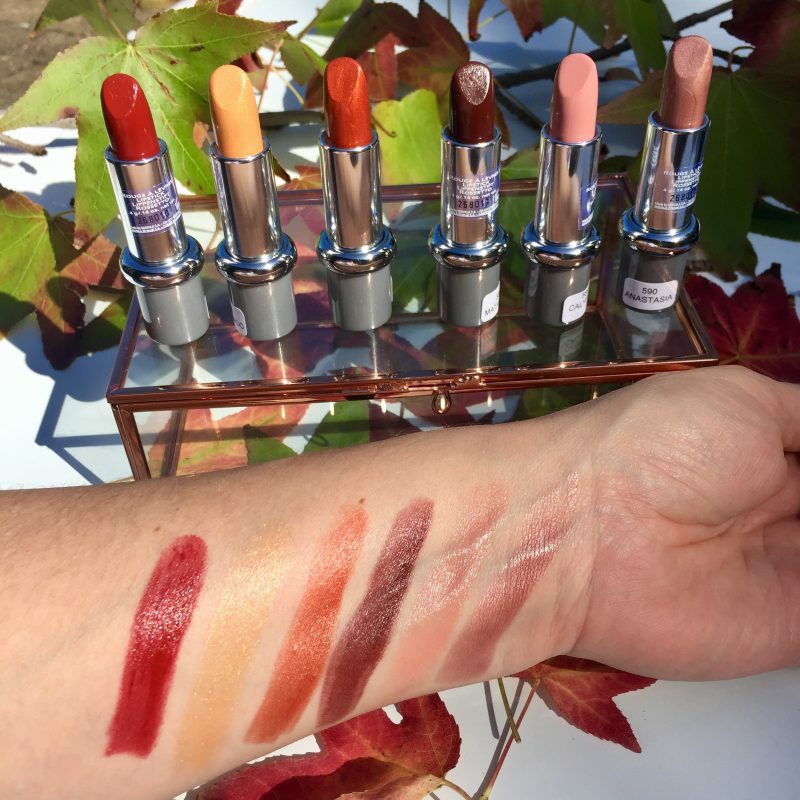 Thank you to Mavala for sending me this Autumn lipstick collection to sample enabling me to write and share this Mavala lipstick review of the Legend Collection with you. This Mavala Autumn-Winter Legend Collection not only features the intense and dark nuanced shades of fire red, burgundy and bordeaux in its collection, it also features the current glittermania trend in three of this collection’s shades. Glitter has been seen on every runway show from Paris to New York and it’s good being able to incorporate this trend in an elegant manner thanks to Mavala. The Mavala Legend Collection of lipstick consists of three creamy and shiny tones, and three translucent golden, silvery and coppery micro glittered or pearlised tones. 590 Anastasia – a silver-lilac with micro pearl silver. Mavala Lipstick Swatches: Legend Collection. L-R: Artemis, Eldorado, Jasmina, Mata Hari, Calypso & Anastasia. All these shades can be worn individually or the three translucent shades can be worn over the top of the other shades to add a glorious shimmery shine. Mavala lipsticks glide onto the lips smoothly resulting in soft and silky beautiful lips. They are well pigmented and have a lovely satin and long lasting shine finish with perfect coverage and hold. The texture is lightweight and comfortable to wear. Lips are deprived of sebaceous glands. This makes them vulnerable to climatic conditions such as bad weather, wind, cold, sun and pollution. Every Winter I tend to battle dry cracked lips. 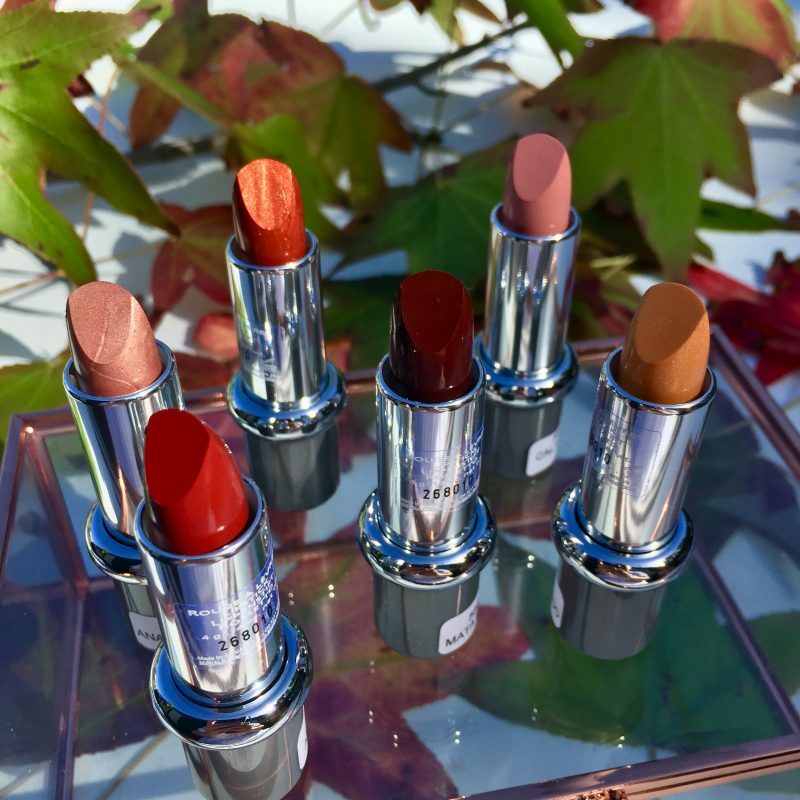 Well this Winter is going to be different thanks to these protective, moisturising and repairing Mavala lipsticks. Mavala enhances their lipsticks with Prolip creating a “treatment lipstick” that prevents dryness, and softens and regenerates the lips. 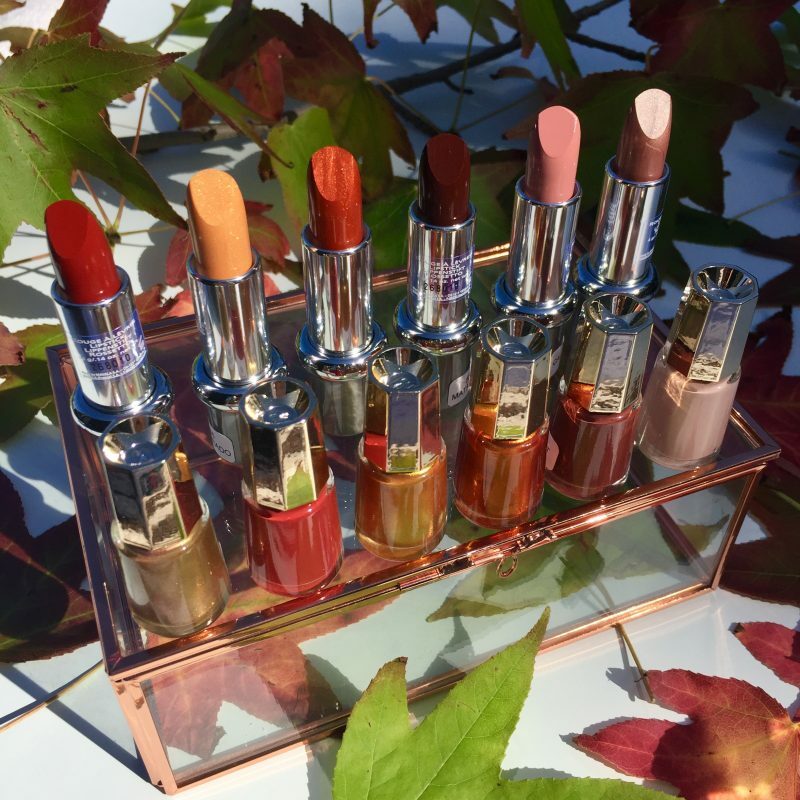 This makes Mavala lipsticks the perfect Autumn/Winter lipstick! The above Mavala Legend Collection Lipsticks pair perfectly with the Mavala Heritage Colors Nail Polish Collection. Mavala Heritage Colors Nail Polish Collection. L-R Santiago, Bergen, Versailles, Quebec, Walnut Grove & Windsor. 993 Windsor – an enchanting pink. These are such wonderful warm earthy colours just like the glorious colours of Autumn seasonal foliage. Once again three of these colours elegantly reflect the glitter trend currently happening in fashion. Regular readers of Fabulous and Fun Life will know that I love the formula of Mavala nail polishes with their no hidden nasty ingredients and also their small size which makes their cost so low and affordable allowing more nail polish shades to be bought at the same time! I also love their wide brushes which make these polishes easy to apply and their good quality long lasting shine and hold. These polishes always achieve a streak-free finish. To read a full review of the Mavala nail polish formula you can click HERE for my review of the Mavala Bubble Gum Collection of nail polishes or click HERE for my review of the Mavala Cyber Chic Metallic nail polish collection. These two posts also detail the key ingredients of Mavala nail polishes. Mavala lipsticks and nail polishes are available in selected pharmacies nationally and also at mavala.com.au. This brand of lipsticks are exceptional. I have a couple of shades and they are beautiful. Loving the two colours on the right!